High on our allotment plot, where gardeners dig their trenches and potatoes are seeking refuge, a war has taken place. Fierce and fast, there have been casualties, there has been loss. I have the unfortunate news to announce that… Christmas has been cancelled. This Christmas, there will be no spuds! Blight has struck! I read the signs a few weeks ago; humid conditions, rain showers and cooler nights. 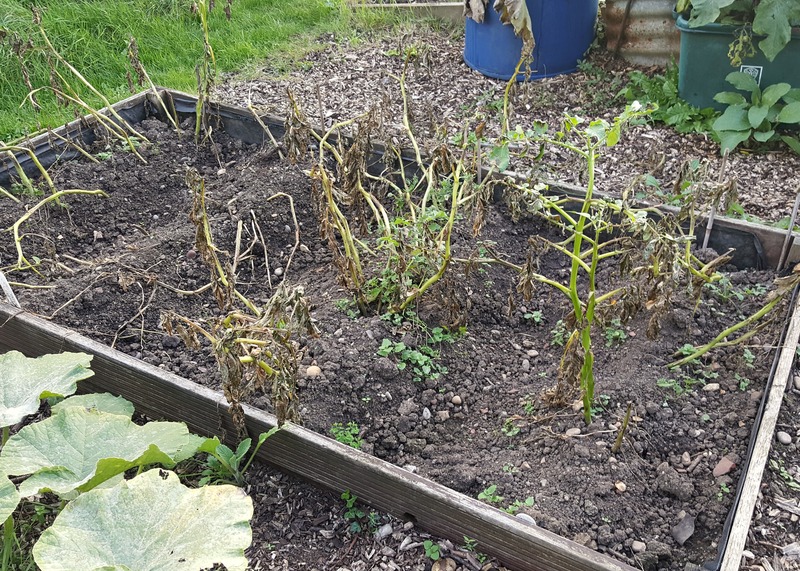 Slowly it began its invasion, creeping across the allotment in the dead of night, decimating tomatoes and potatoes, leaving heartbroken gardeners in its wake. When it reached two plots up from mine, I knew it was the beginning of the end. It was time to take up fork and spade, a battle was coming. Every year, I grow potatoes for Christmas, but up until this year I had grown them in sacks in the back garden. I never had problems with this method. I wouldn’t get as many if I’d grown them on the plot, however I was still a happy man come Christmas lunchtime. 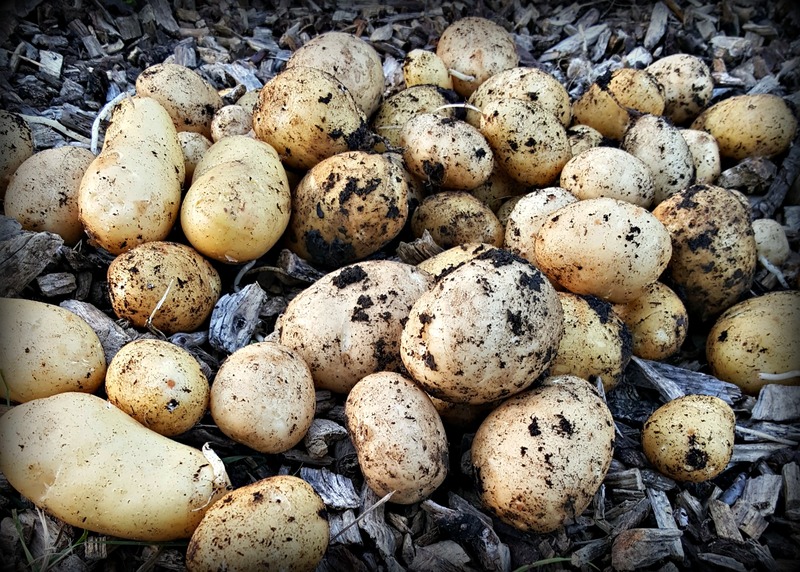 This year, I thought, ‘As I grow my second earlies on the plot, why not my Christmas spuds? I have the space, what could go wrong?’.. More fool me. Growing them in a microclimate, such as a garden, ensures they’re protected, compared to the large open space of an allotment, where endless pests and diseases can be carried across great distances. Now the damage is done, all I can do is minimise the spread. Firstly, you dig up the spuds and separate the good ones (these are fine to eat) from the infected ones. The bad ones are easy to spot; there’s discolouring, an unpleasant smell and a pulpy quality. Collect all roots and foliage, these often have brown blotches, lesions and wet rotting stems. Along with the infected spuds, either remove them safely from the site or burn immediately. Then dig over the bed and ensure you avoid planting potatoes and tomatoes in that plot for the next three to four years. Crop rotation is key. 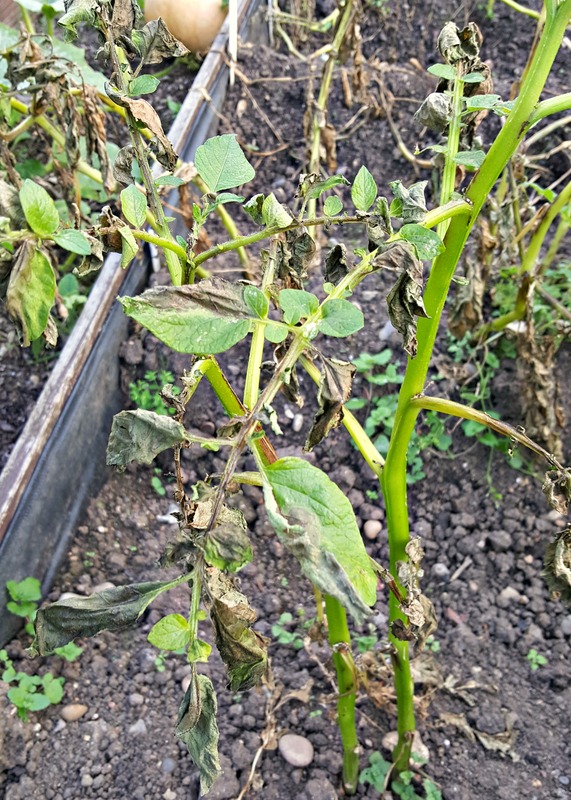 Apart from hoping for the right weather conditions, there is very little we can do about blight. 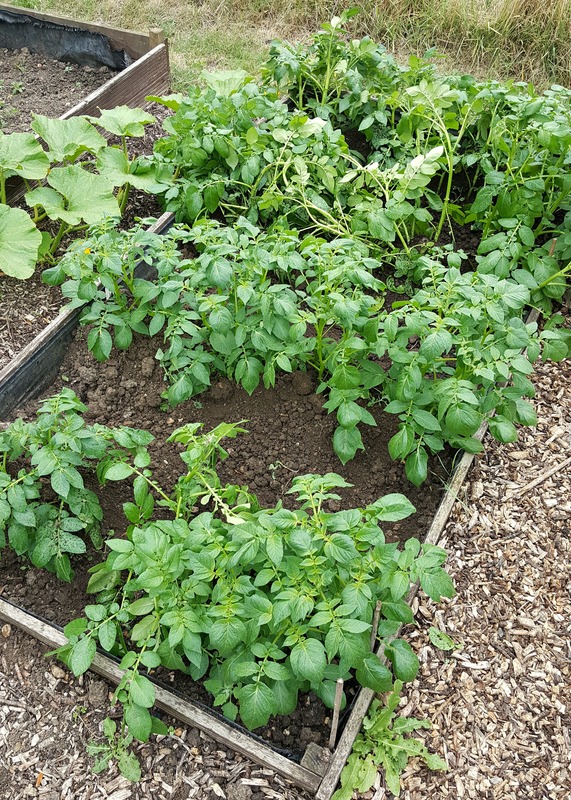 Although there are some slightly blight resistant potato varieties, they have limited success. For now, I shall take my early, small, harvest of spuds and pamper them with the finest of lotions and the gentlest of hot spas. These tubers are to be savoured and spoilt. You may have won the battle, Blight, but the war is far from over. Bummer! After my onion fungus last year I can relate. 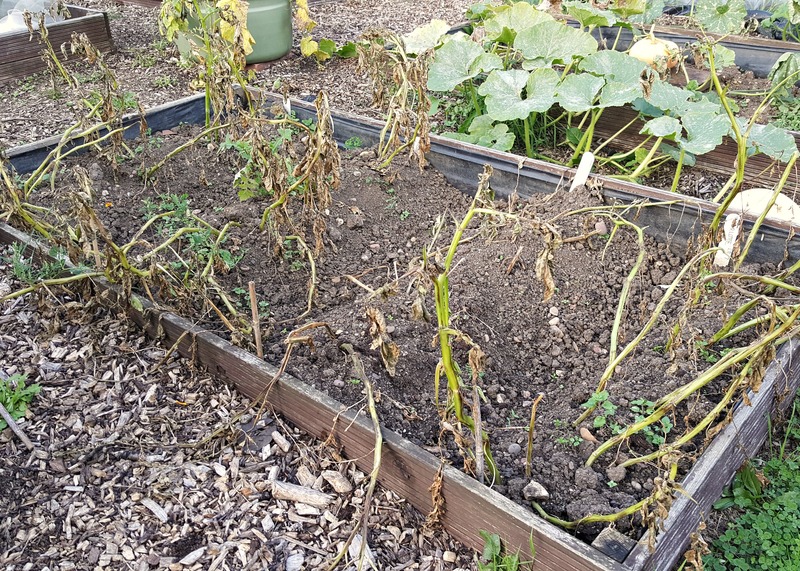 Community gardens and allotments are hotbeds of pests and disease.